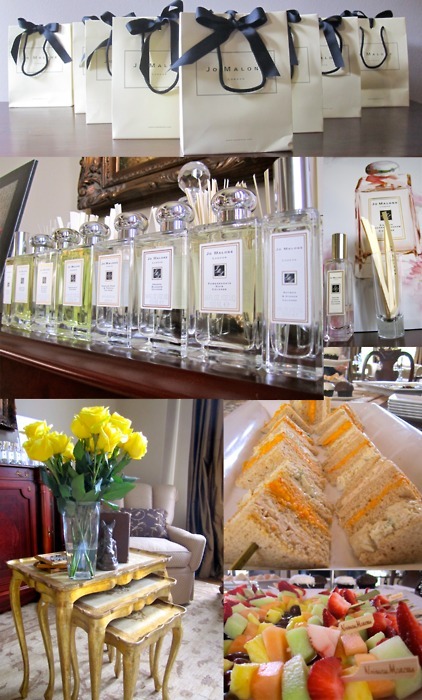 Yesterday I attended a Jo Malone party catered by Neiman Marcus. It was held at a friend’s house and we got to hear the story of how the perfumery, skincare and bath line began as well as try each scent and receive a hand and arm massage while trying the various oils, creams and scrubs. It was lovely! A great aspect of Jo Malone fragrances is the fact that you can combine and layer the scents to create your own perfect aroma. Click here to view and purchase the entire line of colognes.